This is a review post about OCBC Scrip dividend Scheme. 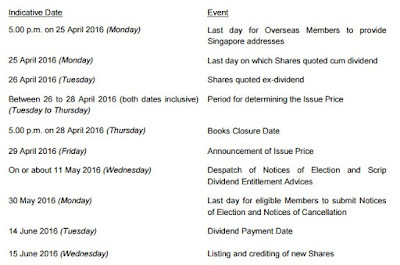 100 of OCBC shares from the payment of Scrip dividend was credited to 穷小子's CDP account today. Including this, it would be the third time 穷小子 had opted for Scrip Dividend Scheme. The decision made in May to opt for shares has been right so far. To recap, the scrip dividend price is $8.11, the price which is after the 10% discount from the determined price at $9.01. If 穷小子 have opted for Cash dividend instead, he would have received $810.18 only, rather than the value of $845.00 today. Although it seems to be a difference of $34.82 only, it is actually an additional of 4.29%. 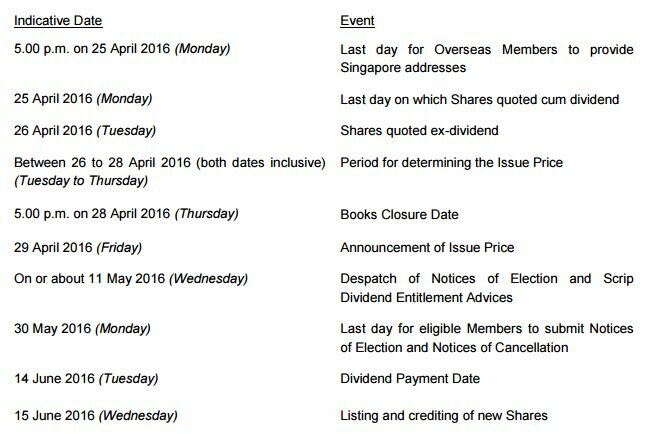 Moreover, this 100 of OCBC shares will be included in the formula for computing the next scrip dividend which usually falls on August, about two months from now on. Let it Grow! Let it Grow! The power of Scrip dividend and Compounding effects.